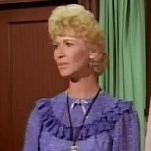 This green gown, often called the "Green Library Gown" or the "Screentest Gown." was used for the Bazaar Scene in Gone With the Wind. 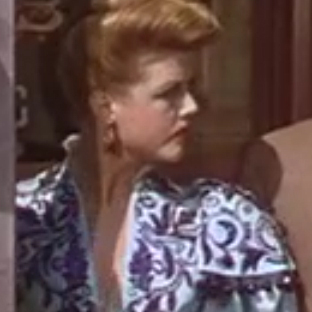 It was rented from the Western Costume Company (see Selznick memo's below). 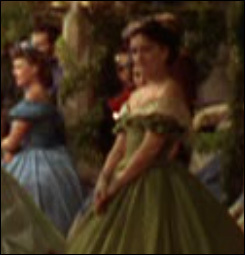 However, the gown was first used before any real filming for the scene began. 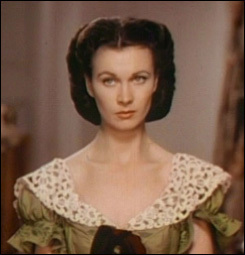 Vivien Leigh, when doing screentests and a technicolor screentest in December of 1938 would wear this gown before it was publicly announced that she had the role of Scarlett O'Hara and her final wardrobe was eventually designed by Walter Plunkett. We can learn a good deal about the production and the costumes from Gone With the Wind from the many memos written by David O'Selznick before and during the film's production. 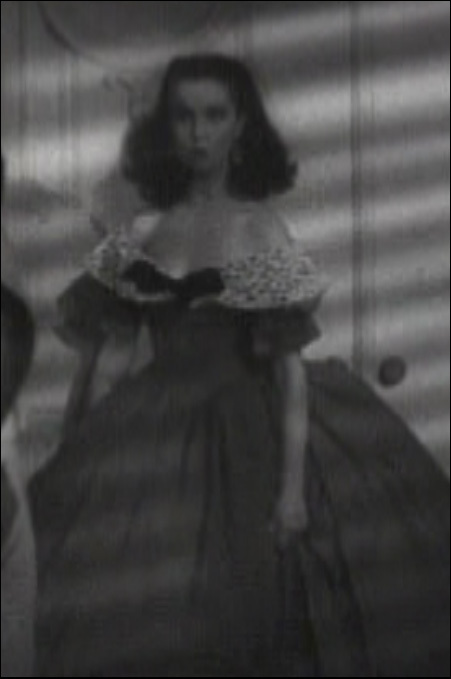 The following segment, taken from a memo from Selznick to R.A. Klune on 2/3/39 is interesting, because it discusses the costumes from the bazaar scene, and also mentions how he wished they could have recycled costumes from other productions that had been worn by stars such as Norma Shearer and Joan Crawford! The response from Klune to Selznick came on 2/6/39, and is interesting because it mentions where the costumes were obtained, and the process taken in having them made. 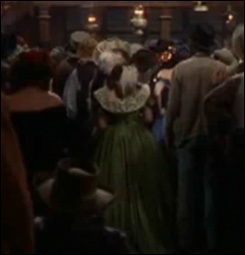 The gown is used again in another film called Can't Help Singing, interestingly enough with costumes by Plunkett, though this gown in particular was almost certainly rented from The Western Costume Company.